Weekly environmental news roundup from across different media networks for week 19 (between May 4 to May 10) 2015. East Delhi Municipal Corporation has begun issuing challans for burning of garbage in the open. The famous Chipko movement, initiated in 1970s as resistance to the destruction of trees in Uttarakhand, has now reached the capital, albeit in a more non-confrontational format. The National Green Tribunal on Friday slammed public authorities over the “pathetic condition” of rainwater harvesting system at All India Institute of Medical Sciences flyover. Holding every Delhi resident responsible for polluting the Yamuna, the National Green Tribunal on Friday ordered every household to pay a certain amount each month as environment compensation. 5. Speaker asks NGT: Why didn’t you act then? The Delhi Assembly Speaker took on the National Green Tribunal on Friday for its order banning diesel vehicles older than 10 years in the National Capital Region. The National Green Tribunal on Thursday directed the Delhi government to respond within a week on a plea against the compliance report of a committee which had observed that there was no illegal construction at an ashram of jailed ‘godman’ Asaram Bapu in Karol Bagh here. The Government plans to set up air quality monitoring stations, which are presently functional at 10 places, in more cities in the country. A team of ornithologists was both pleasantly surprised and equally dismayed when it ventured out to look for endangered birds and their habitat in and around the city. The IIT Consortium which is responsible for preparing the master plan for Ganga rejuvenation, has shared a draft blueprint to finance the rejuvenation and restoration of the river, at India International Centre in New Delhi. Offering a temporary reprieve to the polluting industries located on the banks of the Ganga, the government has extended the deadline for installing real-time effluent discharge meters till June 30. Indian scientists have shown a new route to make fuel cells more efficient, thus pushing further the possibility that cars could one day run on air. An online portal ‘Think for Ganga’ will soon launched be to seek suggestions and feedback from the public for a clean Ganga. The permission to allow mining in Bishanpur and Bhogpur areas of Haridwar district after three days of an announcement regarding its closure has once again stirred a hornet’s nest. The first phase of ‘Clean Ganga’ campaign will be completed by October 2016 for the conservation of the river, Water Resources Minister Uma Bharti said today. The National Green Tribunal today sought response from the Centre on a plea seeking stay on the operation of all industries which are dumping untreated effluents into the Hindon river and its tributaries. Government’s ambitious Ganga cleaning programme and setting up of the National Green Tribunal could shift India’s view of its responsibilities to safeguard its natural bounty, a study by Circle of Blue has revealed. A capital expenditure of over Rs.600,000 crore (approx $100 bn) is needed to cleanse river Ganga of the sewage, industrial effluents and solid waste that is thrown into the river, say experts. Man-animal conflict came to the fore again on Sunday, when residents of Latheera village killed a young leopard that had strayed into their agriculture field. The ambitious project of constructing a coastal road by reclaiming land in Mumbai is yet to be cleared by the Union Ministry of Environment and Forests, as the ministry still fears it could in the long run open up the sea-front land for real estate development. 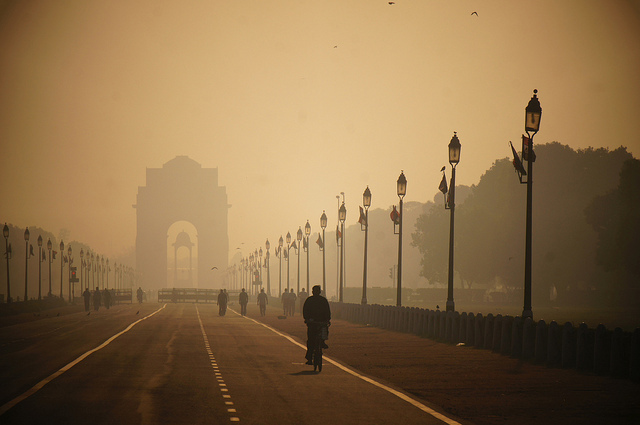 In 2010, air pollution killed nearly 6,00,000 people in India, according to the World Health Organisation. Researchers with the Indian Meteorological Department now say the effect of global warming has become more pronounced in the country over the last 10 years. Exposure to outdoor air pollution during the first year of life increases the risk of developing allergies to food, mould, pets and pests, says a study. Researchers are developing molecules capable of harvesting and holding substantial amounts of solar energy, storing it for significant amounts of time and releasing it on demand.